On 9 August 2015, the Turkmen Rescue Foundation released a statement strongly condemning the silence of the international community in light of the most recent genocidal act conducted by ISIS in Mosul. Last week, the terrorist organization claimed to have executed around 700 Iraqi Turkmen, including women and children. Despite widespread distribution of reports about the ongoing massacre, the Turkmen Rescue Foundation accuses the media, international organizations and governments of double standards towards the Turkmen and non-Turkmen communities. With more than two and a half million in Iraq, the Turkmen constitute the third most numerous component of the country. The criminal ISIS organization announced two days ago through social media that they have executed approximately 2000 civilians in Mosul, including women and children. The victims were accused of being apostates given their jobs at the police, Electoral Commission, media and political positions. Our sources have confirmed that approximately 700 people among them are Turkmen, including women and children. The victims were executed in front of a public audience by firing squad. 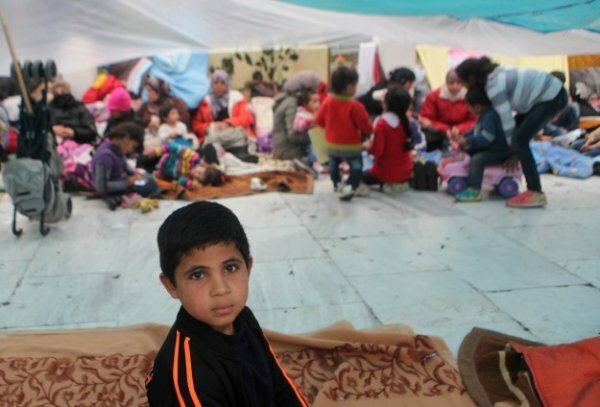 The Turkmen Rescue Foundation reported in December 2014 that there were approximately 450 detained civilian Turkmen under ISIS captivity, including 50 women and 120 children. The report was issued in Arabic, English and Turkish and it has been widely distributed over the last months to numerous governmental bodies, NGOs and the media. Hereby, we would like to send a message to the entire international community that the collective silence concerning the ongoing massacres against the Turkmen both by ISIS as well as by other aggressors is unacceptable and makes us lose our patience. Despite being the third most populous nation in Iraq - with more than two and a half millions - the international community’s double standards towards Turkmen and non-Turkmen community is unjust and makes us feel that we are not Iraqi citizens. We remind that there are more than ten thousand Turkmen fighters - from the army, police and popular mobilization forces - combating ISIS on the front lines. In order to put an end to this suffering and save as many lives as possible, the struggle of the Turkmen liberation in the areas should be supported. We also call upon the Iraqi Parliament to approve the Turkmen Rights Law, stalled since the previous parliament, as well as the law that establishes the new provinces of Tallafer and Tuz as legal valves, which can prevent the repeated massacres that we see on a daily basis.